They say don’t take life two seriously. That is even more true when life happens on two wheels. There is nothing like bike stunt shenanigans and laughing it up with your riding buddies on the trail. 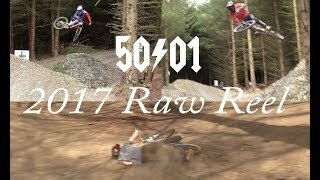 Watching the 50 to 1 crew they sure know how to put some serious bike skills together with a bunch of humor. If your still surviving the post 2017 hangover grab a beer and enjoy this 2017 Mountain Biking Mashup that the boys put together!